The NorthShore Condos were built by the award-winning architectural firm of Lawson, Knapp and Pulver of Rochester, NY in May of 1983. These unique vacation homes on the grounds of Chautauqua Institution have been a hit ever since. They consist of six split level buildings with thirty individual condos. Each individual condo is approximately 1,500 square feet and has two bedrooms, a sleeping loft, two and a half baths, a kitchen, a dining room, a living room, a fireplace, and HVAC. Every individual condo also comes fully furnished and ready to meet all of your needs! One great feature that has attracted a lot of people to the NorthShore condos over the years is the location. The NorthShore buildings overlook Chautauqua Lake, which makes for beautiful views and entertainment. 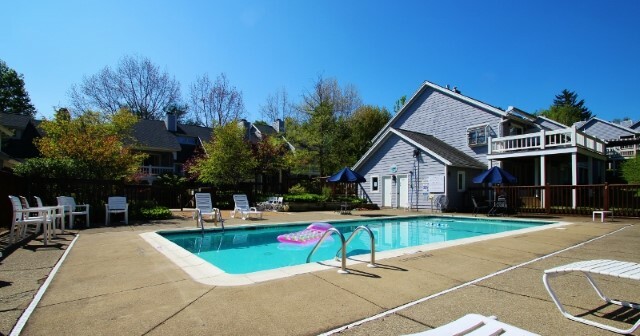 They have two heated swimming pools which offers entertainment for the whole family. There are also bus and tram stops at two NorthShore locations to make the center of Chautauqua Institution easily accessible. Each condo also comes with a reserved parking space on the NorthShore grounds. Not only are these premiere condos in a great location, but they are also beautifully designed and well taken care of. Outside of the condos you will see fresh cut grass and beautiful gardens, complementing the idyllic paint colors with white trim and white porches. The diligent maintenance work continues to this day and the NorthShore condos are looking better than ever! The Northshore condos have made a number of new additions for this 2016 summer season. The entire F building received a brand new cover of paint. The A unit’s doors were also replaced with new and im proved doors. The lower pool is up and running, with the upper pool receiving a new liner in the coming week. 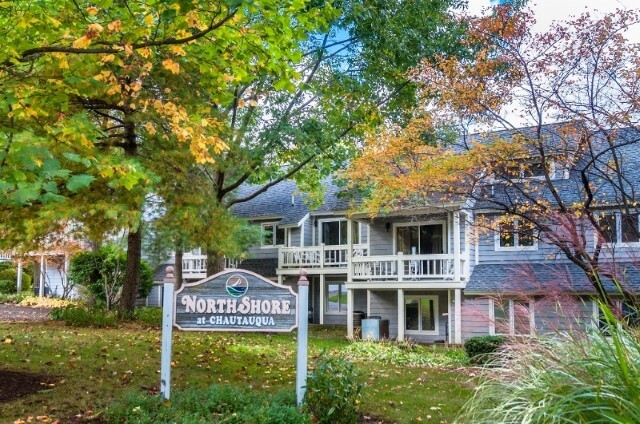 These outstanding condos have been a hot spot in Chautauqua Institution for many years and will be for many years to come. The NorthShore condos are also featured on the new state of the art ERA Team VP Real Estate & Vacation Rentals website at www.myteamvp.com. Here you can easily access information about the condos and book your stay with the click of a button. 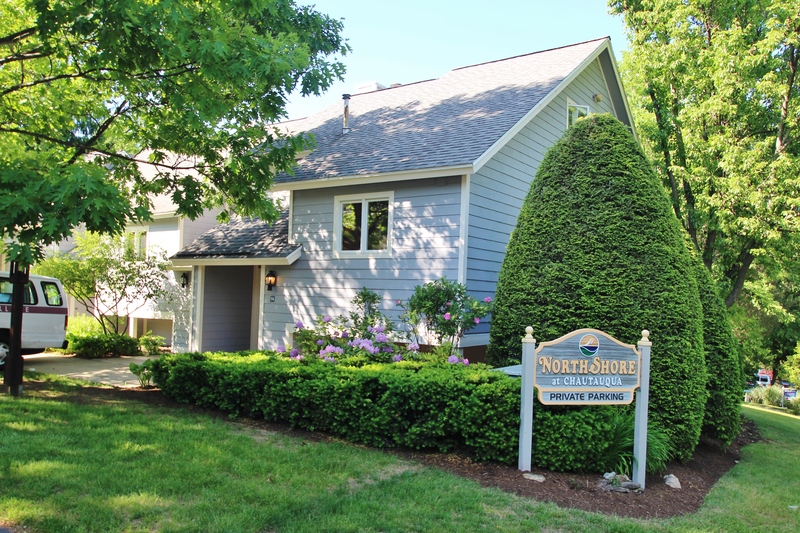 The 2016 summer season at Chautauqua Institution is ready to begin, so why not book your stay at the one of our beautiful and historic NorthShore condos today. The Chautauqua Institution 2016 summer season is right around the corner starting on Saturday, June 25! This summer is going to be very exciting and each week is covering really interesting themes. There will be a lot to do and a lot of fun to be had, so don’t miss out on what is in store for you this summer in Chautauqua Institution! Did you know that the historic Amphitheater, Miller Park, and the Athenaeum Hotel have been under construction and changes have been made? Although this can be a bit of a surprise to you, you shouldn’t worry because Chautauqua Institution is up and running and prepared to make this summer season the best it has had in years! 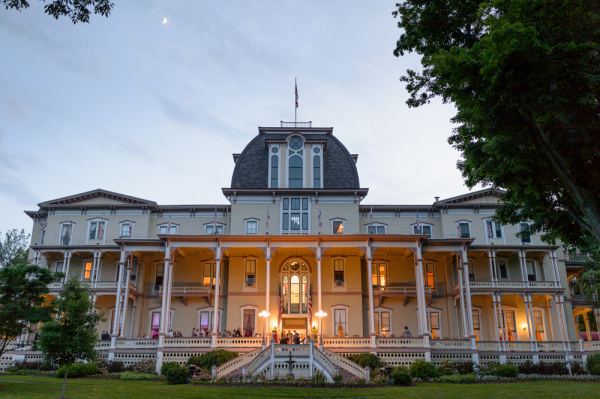 Things are looking great and there are plenty of things that you will want to know about Chautauqua Institutio n this summer in order to fulfill your stay! Do you know the list of themes for each week yet? All nine weeks have very unique themes for you to choose from and you will not be disappointed! Week one’s theme is on Creative Expression by Roger Rosenblatt and Friends. Week two is Money and Power, week three is Moral Leadership in action, week four is Our Search for Another Earth, week five is People and Environment, week six is The Future of Cities, week seven is Pushing Our Bodies’ Limits, week eight is War and its Warriors: Contemporary Voices, and week nine is America’s Music with Wynton Marsalis and Jazz at Lincoln Center. See what week most interests you and make sure to contact ERA Team VP Real Estate & Vacation Rentals for a place to stay today! 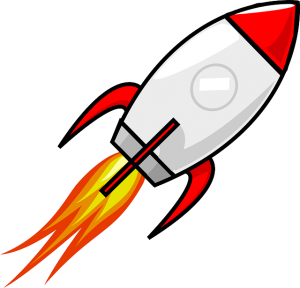 Throughout the first week there are some fantastic events that you will want to know about! Do you enjoy listening to music in the evenings as you walk the grounds? Not to worry because week one is full of different concerts for your enjoyment in order to kick off the season! From the Chautauqua Choir to The Temptations and The Four Tops, this first week will not disappoint when it comes to music! With the new and improved additions and changes to the Amphitheater, you will want to get down there and start off the summer right! 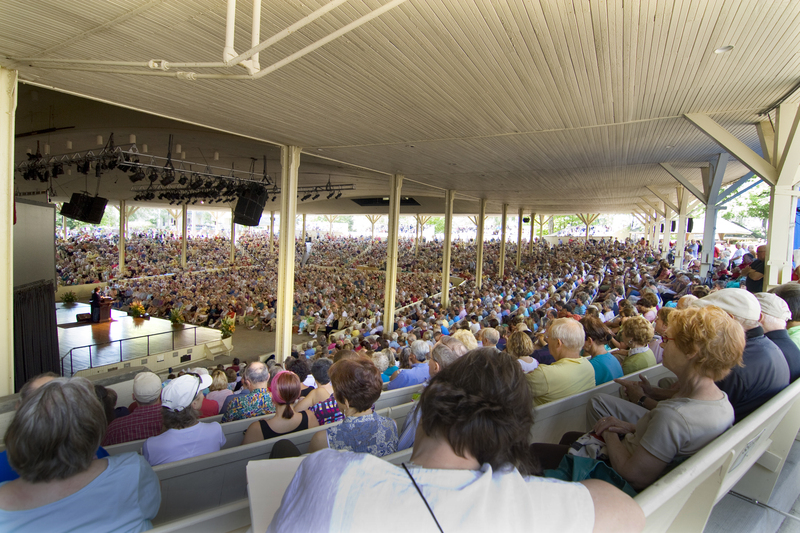 Are you a fan of the popular entertainment that Chautauqua Institution brings to the Amphitheater in the summer? Well get excited because there are some really well-known names coming to perform this season! Some of them include The Avett Brothers, Colvin & Earle, and Straight No Chaser! Along with these great concerts, there will also be twenty dollar nights at the Amphitheater throughout the summer, so keep your eyes peeled and take advantage of this great deal for awesome entertainment! Want to know how ERA Team VP Real Estate & Vacation Rentals can help you this summer? We have a lot of great information for you so you can make the best of your summer! Did you know that we have an office right on the grounds of Chautauqua Institution? That’s right! Our office is conveniently located on 1 Morris, just steps away from Bestor Plaza! Be sure to pay us a visit and we can help you with any of your rental needs! Did you know that we have open houses in the Institution every Tuesday? Well we hope you like wine and crackers because on Monday nights this summer we will be having open house preview nights for you to take a look at the schedule for the following day! If you are looking for places to rent, you will not want to miss out on these nights full of information and fun! Make sure you are prepared so that you can take advantage of the great things Chautauqua Institution has to offer for you this summer. Remember the season is right around the corner! Contact ERA Team VP Real Estate & Vacation Rentals and book your reservations because your summer vacation in Chautauqua Institution awaits! Are you looking for something fun to do with family and friends this week? Well head on down to Cuba, NY for Cuba Dairy Week! This whole week is filled with really cool events and there will be fun to be had by all. The week kicked off on Sunday, June 1 2th with the Flag Day Chicken BBQ at the Liberty Pole on West Main Street at 11AM. There was a lot of great BBQ food to go around! Full dinners were $9 and Half dinners were $6. 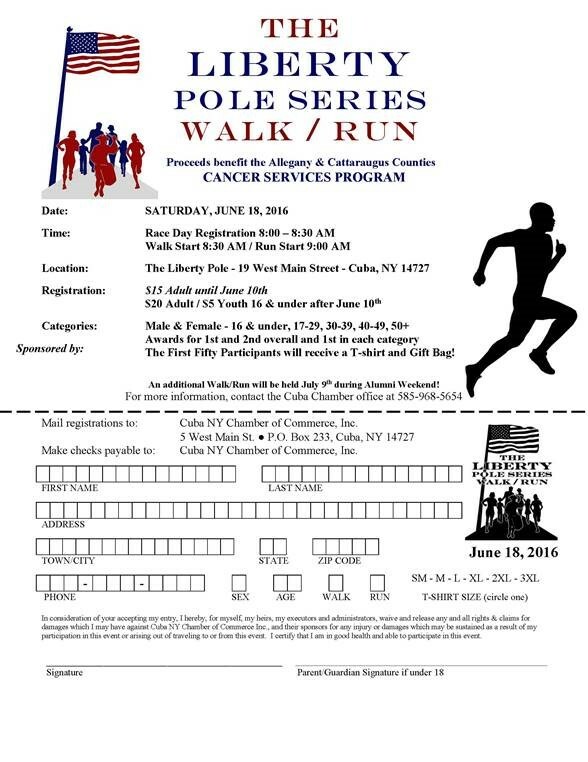 All proceeds benefited the Genesee Park Veteran’s Living Memorial! The afternoon ended with the men’s horseshoe league tournament at the VFW at 1PM. If you are a fan of reading then head on down to the Library on Monday, June 13th for the Friends of the Cuba Library Used Book Sale from 5-7PM! Once you found some books, you might as well head over to the Euchre Tournament at the Palmer Opera House! 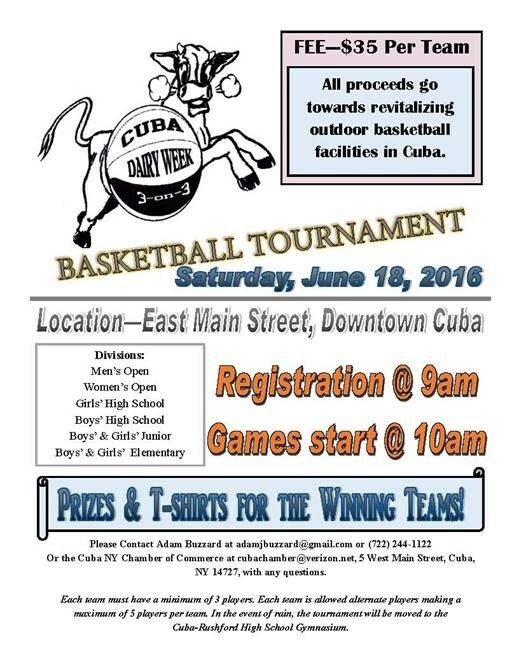 Registration price is $25 per team and all proceeds benefit the Cuba Volunteer Fire Department! 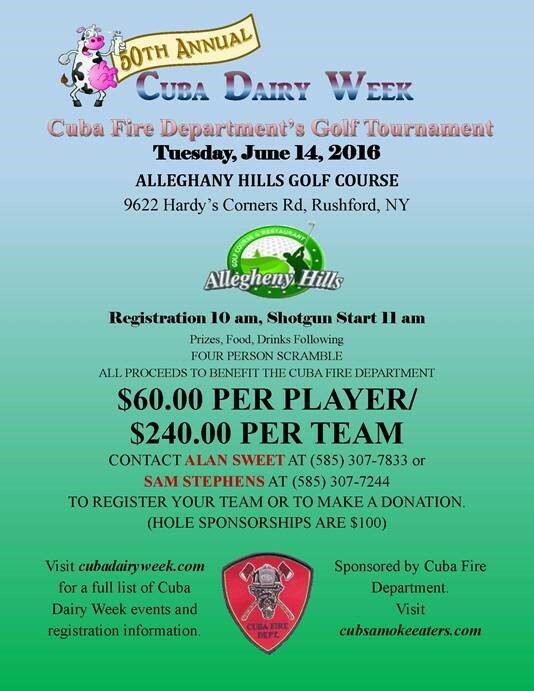 If you were planning to get a round of golf in this week, why not play in the Cuba Fire Department’s Golf Tournament! The tournament registration starts at 10AM with an 11AM shotgun start on Tuesday, June 14th at the Alleghany Hills Golf Course in Rushford, NY. This is a scramble tournament so get your best foursome and come ready to play! The price is $60 dollars per player and $240 per team. All proceeds benefit the Cuba Fire Department. This includes 18 holes of golf, food, drinks, and a chance to win prizes! Also if you would like to make a donation, you can personally sponsor a hole for $100! WPIG will be live on Wednesday, June 15th from 9:30AM-11:30AM at the center street plaza. Also if you like carnivals, make sure you go to firemen’s park from 6PM-10PM! This carnival is fun for all ages and the Bo James Band will be preforming live musi c as well! The carnival will have fun games and candy for the kids and beer and wine for the adults! Can’t make it to the carnival this day? Not a problem because it will continue all week! Pack your bathing suits and umbrellas because this next event is going to be a splash! 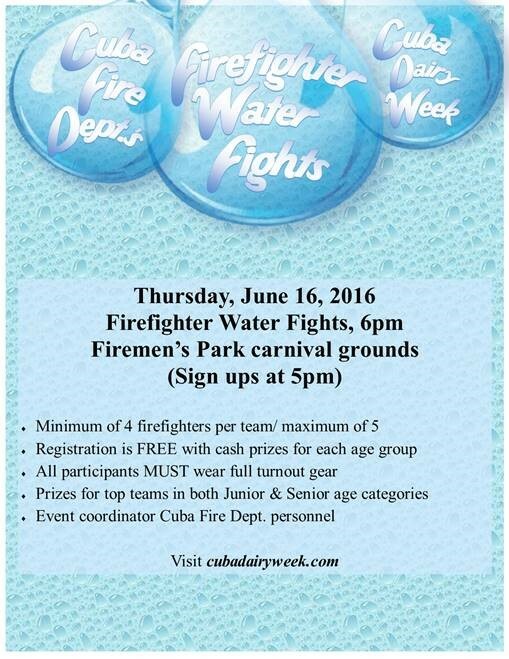 The Firefighter Water Fights will be on Thursday, June 16th at 6PM in Firemen’s Park. Each team is allowed a minimum of 4 and a ma ximum of 5 people. Free registration for this event starts at 5PM and each age group has a chance to win cash prizes! The carnival will continue on this night at 6PM with more live music from the Cuba-Rushford Pop Group and Jazz band as well as soloist Alex Leyva. 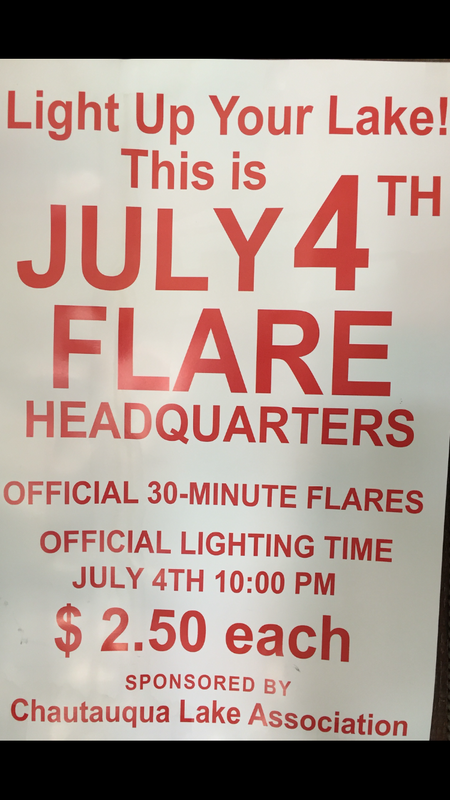 Get down to Firemen’s Park because it will be the place to be! 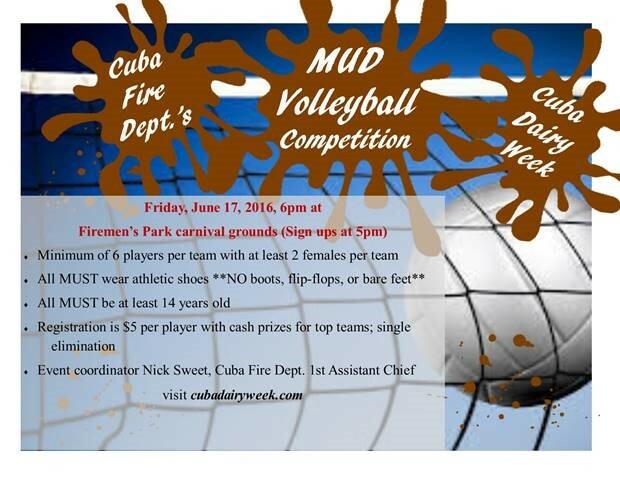 If you like volleyball, prepare to get messy because Friday, June 17th kicks off the Mud Volleyball Competition at Fir emen’s Park! Each team has to have a minimum of 6 players with at least 2 females per team. Cost is $5 per player and you must be at least 14 to play. There will be cash prizes for the top teams, so start practicing your skills and get ready for this competitive and fun tournament! If volleyball isn’t your thing or you don’t feel like playing in the mud, the Carnival and more live music will be taking place all night as well! The last day of the Cuba Dairy Week is jam packed full o f fun events, so see what you like the best and prepare for t his amazing grand finale! This great day consists of the Liberty Pole Walk/Run, the Orange Crate Derby, a Craft Vendor/Petting Zoo, a 3on3 basketball tournament, the Classic Car Show, a Chicken BBQ, a Bicycle Decorating Station, a Parade and so much more! 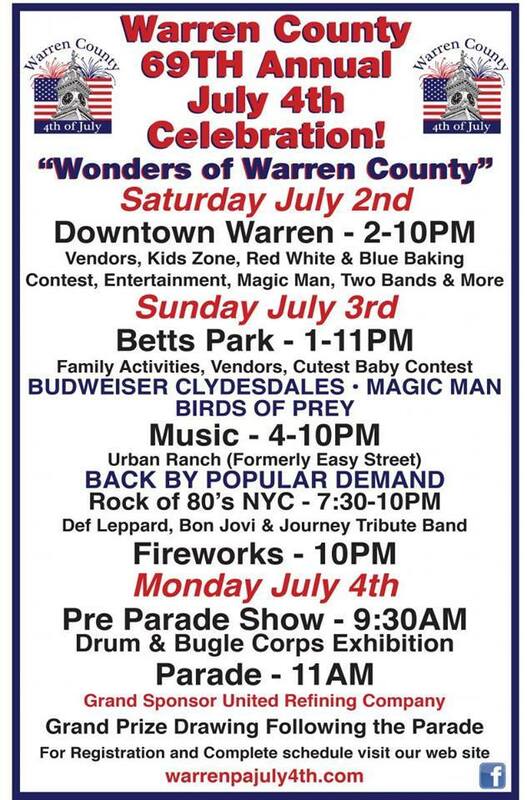 There will be more live music and a fireworks show presented at Firemen’s Park to send off this amazing week with a bang! The fun has no limit this week and you will not want to miss out on anything! 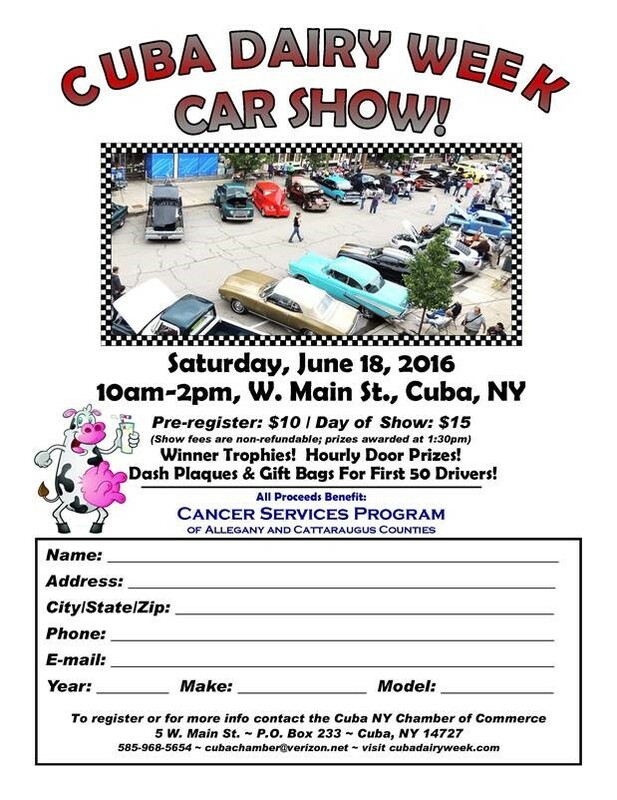 So head on down to Cuba, NY for the Cuba Dairy Week and enjoy all that this unique event has to offer! The annual National Junior College Athletic Association’s Division III Men’s Golf National Championships are set to take place at the Chautauqua Golf Club from June 6-10. 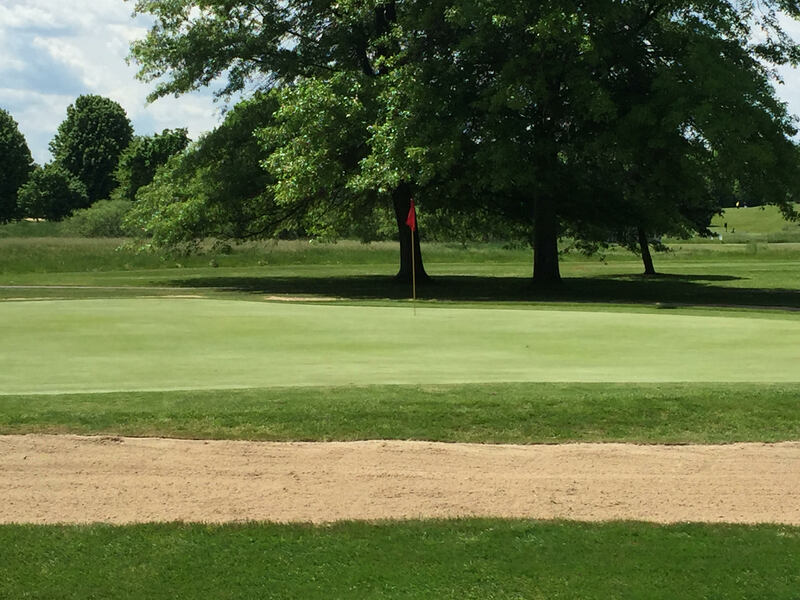 Jamestown Community College has been holding this tournament through the Chautauqua Golf Club since the year 1999, and this year is going to be another really exciting tournament! This special event is a 72-hole tournament fun for people of all ages to go and watch outstanding young talent at a beautiful golf course! There is free admission to the tournament, so if you are a golf fan or just want the chance to explore the amazing atmosphere this tournament brings to the Chautauqua Golf Club, make sure you make it down for some high quality competition and fun! ERA Team VP Real Estate & Vacation Rentals has been a proud helping hand in this tournament for many years. Our company has hosted the golfers in company owned condos since 2003, and we are looking for ward for their arrival on Saturday, June 4th! Every 3 years the NJCAA has the choice to move the location of the tournament, but they have kept coming back to Chautauqua for 17 years straight because the area has done such a great job with the tournament. The economic impact of this tournament for the Chautauqua area is close to $500,000 annually. 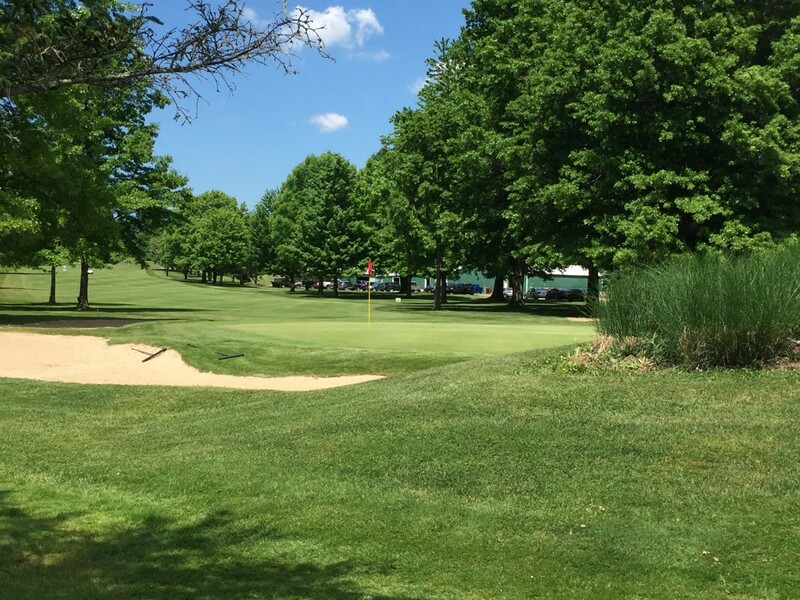 At the end of this year’s tournament, JCC and Chautauqua Golf Club will be putting in a bid in hopes to renew another 3-year contract for this outstanding tournament, and we can only hope that it stays in the area.